THIS AUTUMN will see Russia deliver S-400 missile defence system to Turkey as part of an agreement between the two states. This was confirmed by Dmitriy Sugayev, the chairman of the Russia Federal Military and Technical Collaboration Chamber (FSVTS). He said this was in line with the agreement signed with Turkey. According to a Sputnik News report, in an interview with the Kommersant newspaper, Sugayev said Turkey’s order portfolio is currently over $1 billion. “As you know the S-400 agreement was signed in 2017 between Turkey and Russia. We have already obligated twice and we will further deliver in the autumn of 2019,” added the FSVTS chairman. During a speech, Sugayev said Turkey was keen on developing its own defence technology and other innovations in the defence industry. “There has been a considerable success in this area that includes air defence technologies, developing joint technological projects are drawing attention of our partners. Turkey could present tangible projects regarding the projects to which Turkey shows interest. Russia is ready to collaborate with Turkey particularly on both air and motor technologies,” said Sugayev. 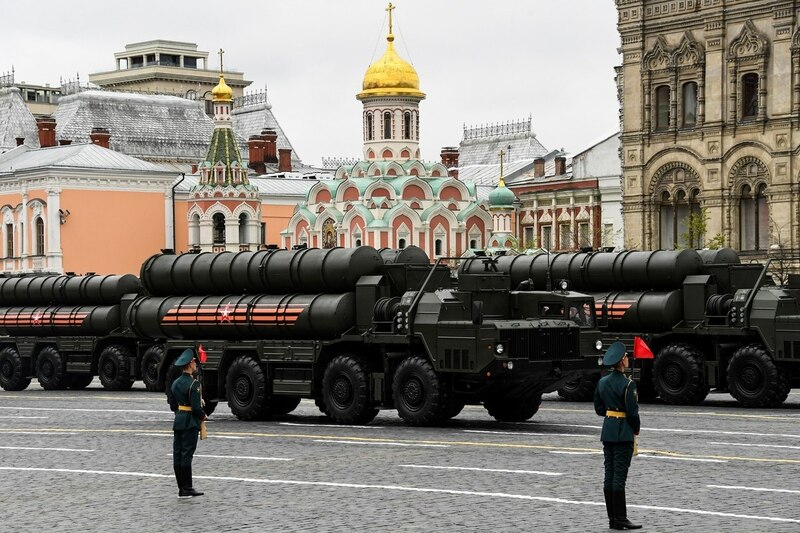 On the technology associated with the S-400 agreement, Sugayev stated Russia is ready to assist so that Turkey can produce certain elements of the S-400 defence systems. He pointed out during this cooperation no danger will emerge for Russia on copying and transferring sensitive technologies. Sugayev pointed out that except Turkey and China, more than ten different countries are showing interest in the S-400 defence system. “Many of them are from the Middle East and some of them it was really unexpected they would show interest,” Sugayev said. The S-400 defence system is manufactured by Russian state-owned defence company, Almaz-Antey. The S-400 Triumph (also known as the SA-21 Growler by NATO nations) is one of the most advanced missile defence systems on the market. The S-400 Triumph is an advanced air and missile defence system intended to engage targets at ranges of up to 400 km. Washington blocked the sale of Lockheed Martin fighter jets to Turkey earlier this month in response to Ankara’s decision to purchase the Russian S-400 air defence systems. On the other hand, Turkey has shown determination to press ahead with the purchase plan and already made the first payment for the anti-missile system last year. Meanwhile, Russian President Vladimir Putin signed a decree on Wednesday to lift visa requirements for Turkish service passport holders and truck drivers travelling to Russia. With this document signed into force by Vladimir Putin, the decree came into effect as of February 6. The new decree is valid for Turkish citizens with special passports on short-term business trips including to diplomatic missions, consular offices and professional drivers engaged in international cargo transportation.